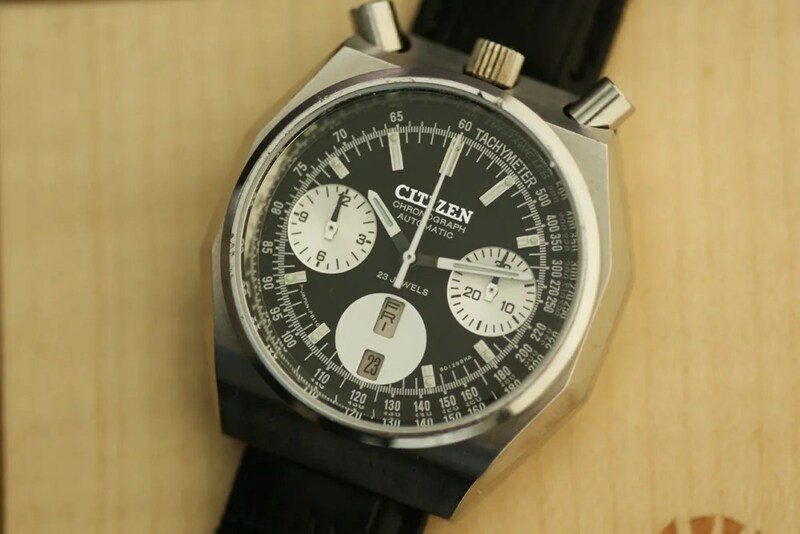 This entry was posted in Vintage Watches and tagged Citizen 67-9356, Citizen Bullhead, Vintage Citizen Chronograph 8110A, Vintage Citizen Watches. Bookmark the permalink. I, too, own a 1970’s era Bullhead. Mine has a black face with silver subdials and orange hands, which looks really sharp! It was reconditioned when I bought it about three years ago…I think I paid $150.00 for it(Thailand purchase). 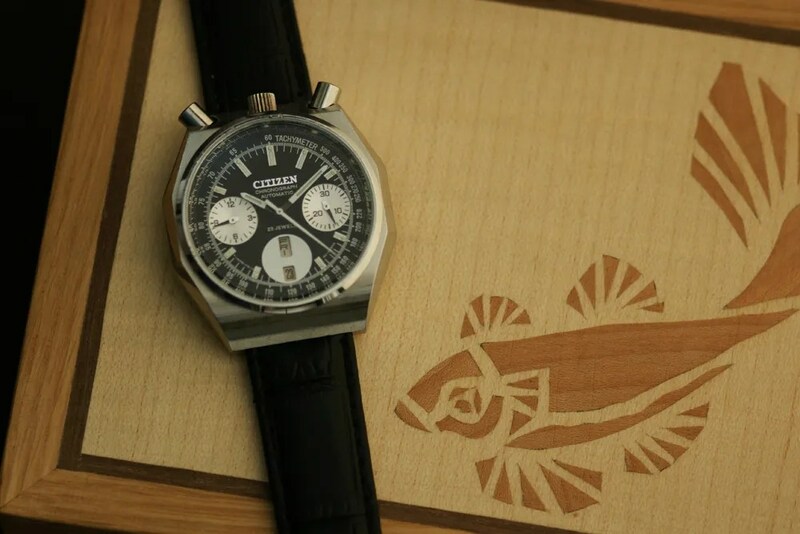 I don’t wear it; I use it as a display model…a piece of art in its own right! Stephen it’s a 67-9011. 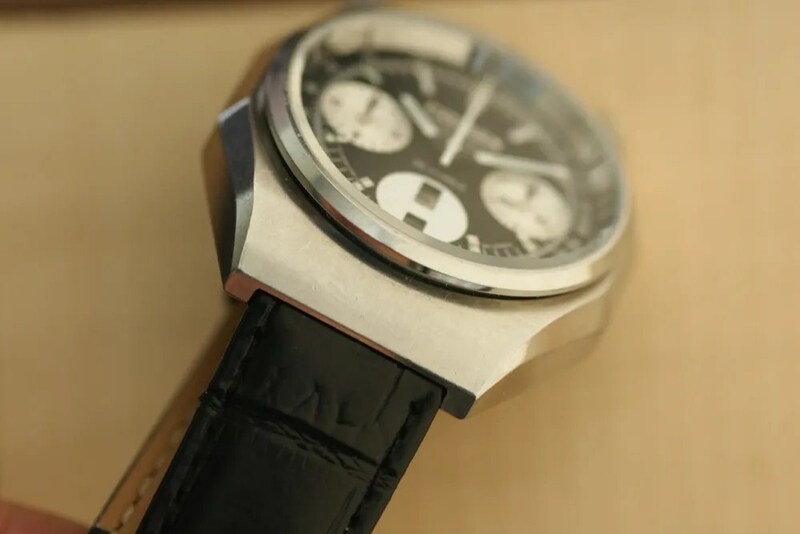 And I sent you two pics of this watch about 2 or 3 months ago and you said it was really nice; I guess that you receive so much correspondence and watch pics that you can’t remember them all! Hi Mike, my apologies – I was busy answering comments last night and forgot you had sent pics. It was back on October. Boy how time flies! Just AWESOME !!! 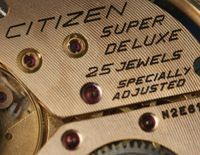 There´s just everything in this model, what you want from the watch! Would be in my wrist every day, if i had this one :D.
Awesome job from Brian, as always..! Hello, i bought a watch today for $5 it has bullhead inside the casing. 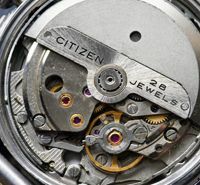 The watch also has 3 separate circles, date of the week is at the 9 o’clock hr, then, then at the 6 oclock hr it has numbers like 12,14,16,18,20,22,24, one the left, then # 2,4,6,8,10,12. Then at the 3 o’clock 17 thru 31, as well as 1 thru 15. 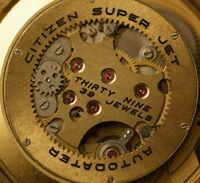 The watch only has one dial and thats at the 3 o’clock position The watch says japan movement on the back. Stainless steel. It also has this MPC M 10 as well on the back. I am affraid to open it to get a serial # i do not want to wreak or scratch the watch. 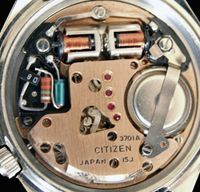 Anyways all i see is bullhead watches with Citizens on the front inside. 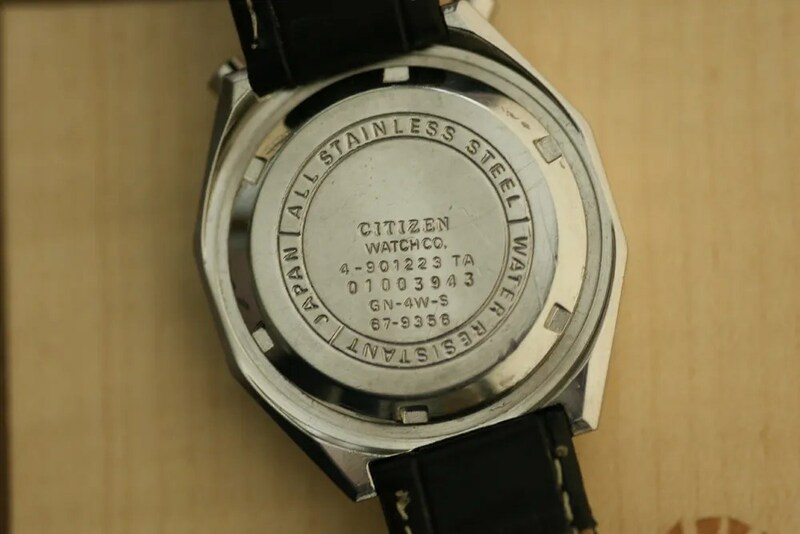 I am curious if you can tell me, did they stamp bullhead (like mine) before they did Citizen. I hope you can help me. Any information would be greatly appreciated. Hi Brenda, thanks for visiting my blog. 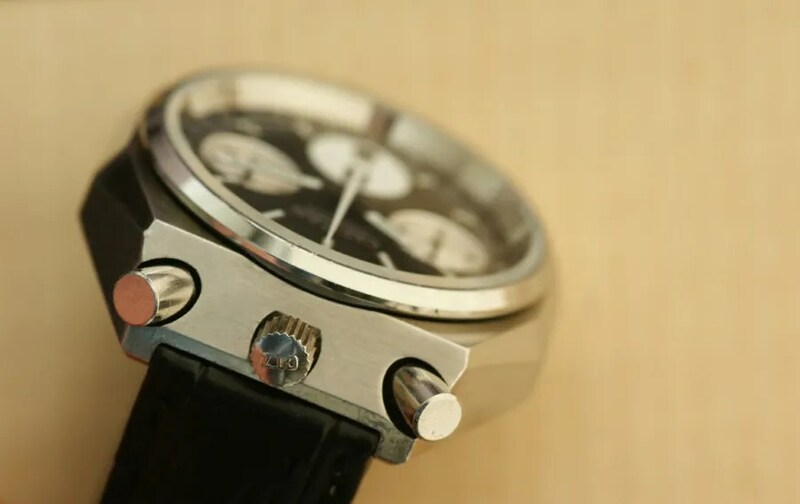 I’m afraid your watch is actually a recent one, branded ‘Bullhead’. 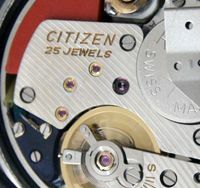 From what I can find they have a quartz movement and have the appearance of a chronograph but do not actually function as such. Hi Sean, thanks for visiting my blog, I saw your thread on the WUS forum, so I can get the photos from there. The macro shots are nice 🙂 Good to see you are sending it to Brian, he is the man for this kind of work. I’d like to post about this when Brian does the work on it, so we can show some of the ‘behind the scenes’ technical work, if that’s ok.
Seand me an email and I’ll send photos. 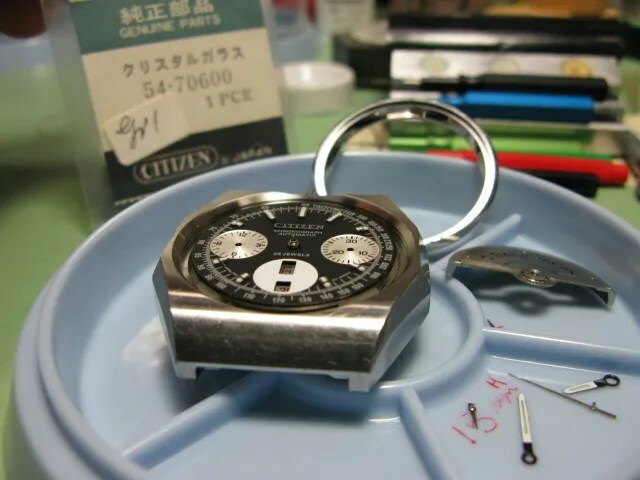 Brian will be restoring the watch. My trying to bring my 67-9356 to a more original look. Currently it has an acrylic glass 31.5 mm neatly glued to the bezel but still GLUED. What is the original minerall glass dimensional? Hi Graham – thanks for visiting my blog. 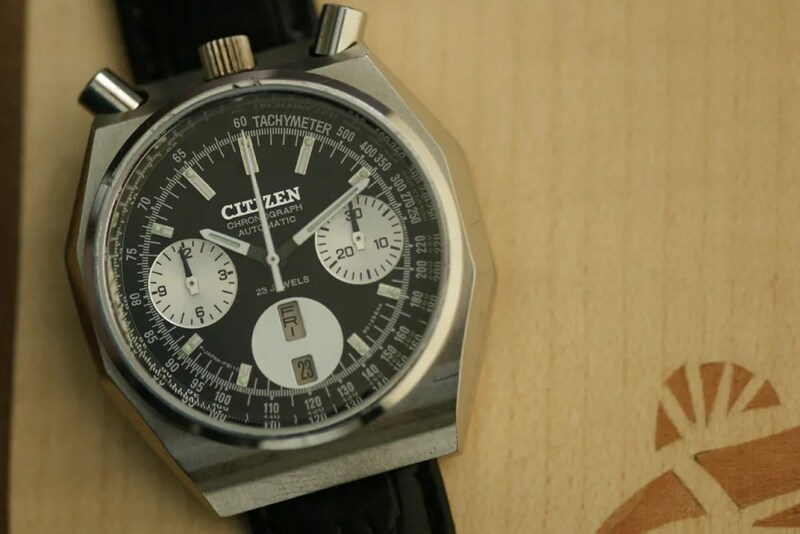 The 67-9356 is a nice watch, and is the only Citizen ‘bullhead’ with a full stainless steel case. Well worth getting back to the original spec if you can. As far as I can measure accurately, the original crystal is 31mm, but it is fitted with a gasket which adds 0.5mm. This explains the size of your acrylic glass which has been glued in. 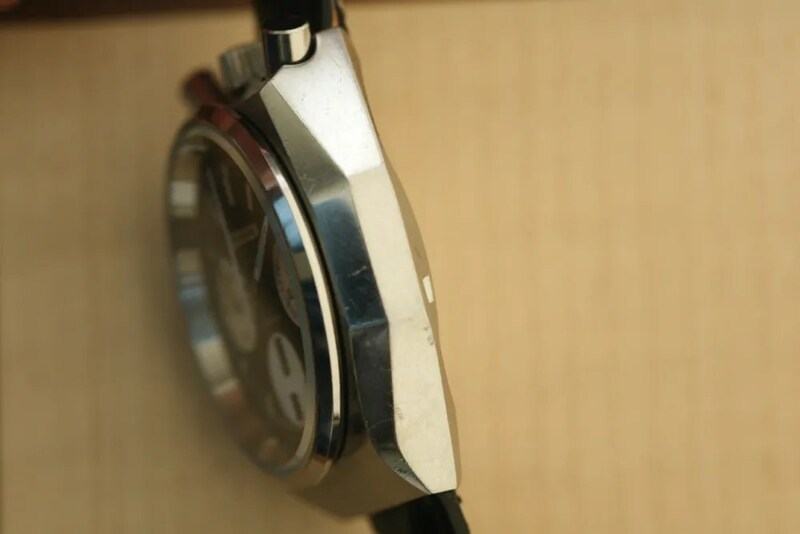 The gasket is white and when they are fitted they give a white edge to the glass, so it is a good way of checking whether it is present and correct. 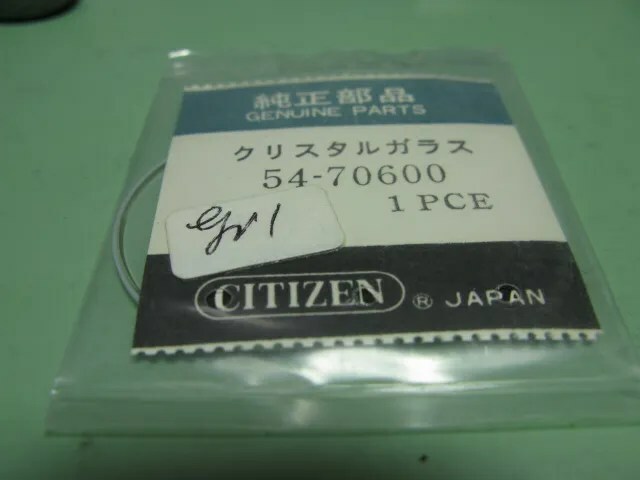 Original glass, which comes with the gasket, is getting very hard, or impossible, to find for many of the vintage Citizens. I might be able to help with this one, so please let me know here if you want me to email you directly (no need to post your email address since I see this when a comment is posted). Definitly interested I’ve amassed a few 8110s now including a Walter wolf. I think its time to curtail collecting an start giving the ones I have some attention.